Johnson Oil Company - Mascott Equipment Co.
Mascott provided Johnson two 12,000 gallon Modern Welding Glasteel II double wall fuel tanks. 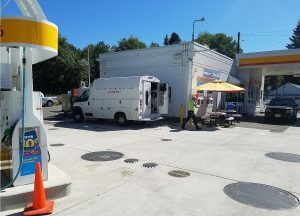 Mascott also replaced his fuel product lines to his islands and brought the site up to code with new Bravo dispenser containment sumps and sensors and OPW Flexwork Piping. 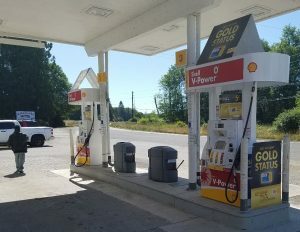 Additionally, Mascott supplied SPATCO 500 gallon DEF enclosure and a new Wayne Vista DEF dispenser to compliment his existing Wayne Ovation dispensers. We invite you to contact the Mascott Sales Group for assistance with your next project.